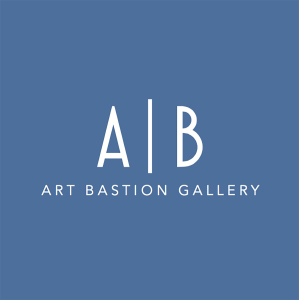 Arts writer, curator and art consultant, Nico Kos Earle will discuss the artists curated for the Art Bastion booth at Art Southampton in relation to the current status of British Contemporary Art. What is it about the British – why are they so good at culture – theatre and pop music and art? Is it due to the tension of tradition and pageantry constantly pushing up against anarchy and rock n roll irreverence? From the Royal Wedding to the London Olympics, they have a brilliant ability to show the show. Speaking of irreverence, that is how YBA’s put the UK firmly back on the global art map after New York dominated the art scene for so long. You are all probably all familiar with Tracey Emin’s unmade bed (My Bed) and Hirst’s shark in formaldehyde (The Physical Impossibility of Death in the Mind of Someone Living). Well deserving of their place in the history of art – and of course what they did for the UK art scene – but there is only so many times you can appeal to the same audience with the shock of the new. The YBAs had this great system to rail against and took postmodernism and the age of mechanical studio based art to new and often filthy heights. You could say they sort of peaked with Hirst’s diamond encrusted skull. Apart from being nothing new and a rip off of Alexander McQueen – it signalled the tragic end of their era. The YBA’s are now the BAs. Interestingly Hirst has now set up his own gallery and opened with the late and largely overlooked painter John Hoyland. An abstract artist of great intensity who used color and form to charge his paintings so that they were self-sufficient. In other words they required no explanation, no instructions, but simply ignite visual, mental and emotional stimulation through his natural ability to create an internal dialogue through colour, scale and abstract form… He had an innate understanding of Braques maxim “Sensation, Revelation!”. All the evidence to understand the concepts behind the work are contained within the work. Today a whole new generation of artists – trained in schools where they actually teach painting and life drawing again – are reaching back to the roots of modernism to find their own way. They are making materials like oil, clay, film and even cyanotypes relevant again. Think of Grayson Perry’s pots or Rose Wylie’s refreshingly naive paintings, Annie Kevans portraits and Anne Hardy or Bridget Smiths photographs and cyanotypes of empty or forgotten places. Importantly there is a strong voice for women today on the contemporary art scene from Fiona Banner to Cornelia Parker, and that is why the Art Bastion booth at Art Southampton 2016 happens to be all female. There is so much to choose from! Arts writer, curator and art consultant, Nico Kos Earle is a member of the Critics Circle, has a blog on Artlyst called The Artist’s Statement. In addition to curating shows (www.botanicae.co.uk, Sense of Place) she regularly writes art features for numerous titles. 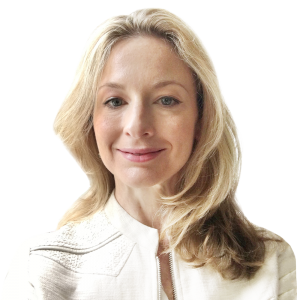 Her catalogue and title essays include Ibid Gallery, Art Bastion, Cadogan Contemporary for a wide range of artists like Simon Allison, Hamish Mackie, Emma Levine, Deborah Tarr, Chris Levine and Andrea Hamilton. Books include Joost Vandebrug’s Cince Lei, and Ina Jarvis. Most recently she commissioned and liaised with Simon Allison of Lockbund Sculpture to deliver eight monumental sculptures on behalf of Merchant Cantos for Merck. Nico is currently working on a series of essays that form a wider project titled ‘The Unseen’ that tells the story artists who have been critically overlooked. She holds an MA in Literature with Philosophy from Trinity College, Dublin.